The Nationwide Insurance: Danny Conrad Gill in Bluewell, WV provides the following products. To learn more about each insurance product, click on the links below. Many terms associated with auto insurance can be confusing. For example, what does "comprehensive car insurance" mean? You will get answers to questions and much more when talking about your insurance needs with Danny Conrad Gill. We work with Nationwide to bring you excellent service and coverage in Bluewell. Give Danny Conrad Gill or another experienced agent a call today at (304) 589-7283. Drivers can discuss options over the phone or in person at 4132 Coal Heritage Rd. Homeowners insurance is a crucial part of owning and protecting a home. That's why the Danny Conrad Gill has worked so diligently to understand the insurance priorities of 24701 homeowners and their residential properties. In fact, the exact location of your home may mean your home's risk profile is slightly different from that of your Bluewell neighbors' right down the street. No matter the specifics, Nationwide has coverage that's right for your Bluewell home, and our agents can help further personalize your homeowner's policy. How so? Beyond the location, the property itself often has very different kinds of assets that can be protected through home insurance coverage. The structure and dwelling coverage are the backbone of most policies, but Danny Conrad Gill offers plenty of additional coverage options through Nationwide. These options cover things like a detached garage or other buildings, contents and valuables, or even a number of exclusive coverage programs like Better Roof Replacement®. Plus, if the time ever comes when one or more of our homeowners need to return a home to its former glory, the Nationwide On Your Side® Claims Service offers extra peace of mind. Our office is located at 4132 Coal Heritage Rd. But our home insurance expertise extends throughout the greater Bluewell area. Call the Danny Conrad Gill at (304) 589-7283 to get our take on the best way to protect against potential homeowner damages. We at Danny Conrad Gill are here to help newlyweds in the Bluewell area. We will answer all your life insurance questions and explain in easy language term versus permanent insurance. After speaking with us, you will have a complete understanding of both whole life insurance and universal life insurance and you will know which options are best for you. Call us at (304) 589-7283 and ask for Danny Gill. If you are in the neighborhood, we welcome you and your spouse to stop by our office at 4132 Coal Heritage Rd,Bluewell,WV,24701. It may be the most important date of your life. Like most business owners, you probably know pretty much everything about your business. Still, you may have lingering questions about your commercial insurance needs. The Danny Conrad Gill can fill the gaps in your knowledge of Bluewell business insurance, just as we can recognize and fill gaps in your policy coverage. 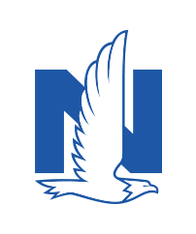 In addition to their great insurance products, the Danny Conrad Gill also partners with Nationwide for superior account services. For example, whether you need to respond to changes in state law or local markets, don't underestimate the value of the Nationwide's On Your Side® Reviews. Let us explain how dependable customer service and flexible billing options make for stronger protection for your Bluewell company. Give us a call at (304) 589-7283 so we can start discussing your business's insurance needs. We can also set up a time to talk in person at our local office. We're located at 4132 Coal Heritage Rd.